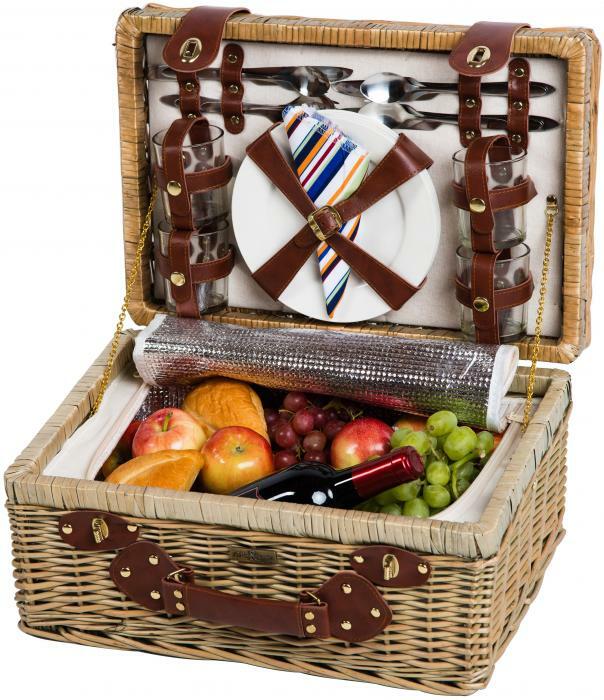 This jumbo-sized willow picnic basket from Picnic and Beyond has everything you'll need to host a hearty picnic for four, including flatware, ceramic plates, tumblers, and napkins. 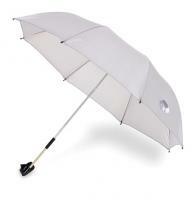 Each item can be securely fastened to the basket's lid via easy-to-use straps with snaps and buckles. 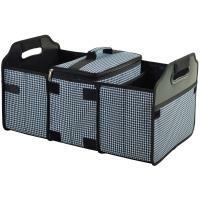 The rest of the basket is devoted to food storage; you can fit a whole fried chicken, side dishes, and a bottle of wine in this large insulated compartment. This basket, designed like a vintage briefcase, can be securely closed with two latches and carried via a handle on its side. 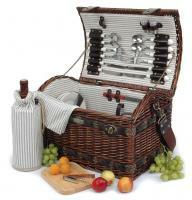 I gave this basket as a shower gift to my grandson and his fiance who are planning an outdoor picnic wedding. It is a very good size. The willow is beautiful. 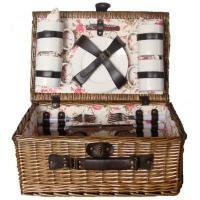 The picnic gear inside is complete and will be used for many years. A quality item. Bought this for my daughters and they absolutely loved them!! Very nice basket. Everything was as described. One dish arrived broken and we received a replacement very promptly, no problems. Looks great attached to the trunk of our car! !